Back in 2008, all Hollywood writers went on strike….. so what did Joss Whedon do to fill his time? He created an online sensation, that’s what. 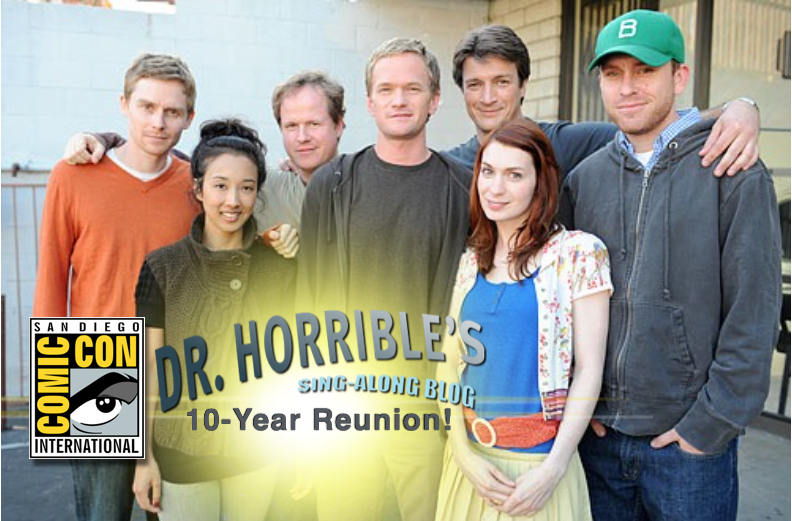 Dr. Horrible’s Sing-along Blog is basically a celebration of the worlds of Joss Whedon. That’s quite a lineup! I must say, though, it’s odd that Felicia Day is appearing on this panel but not appearing on the Geek and Sundry panel — considering that Geek and Sundry is a website that she created. Odd indeed. We’ll have to look into that…. But regardless — all you Joss-ites; or Jossians; Browncoats and Buffy-enthusiasts, and all everyone who’s ever sung-along to the blog…. this one’s for you!